LEAD with COURAGE provides tailored Leadership Development, Team Building, Individual Coaching, and Inspirational/Motivational Presentations for organizations, businesses, teams and individuals interested in increasing capabilities, competence and performance. These programs are individually designed to satisfy each client’s specific requirements identified through assessment surveys and intense personal evaluation. Following the design of the program, the process of learning begins with workshops on the specific areas of development determined to satisfy the requirements. Group discussion, role-playing, practical exercises will be facilitated to enable exposure and involvement by students in real-life scenarios resulting in increased understanding and application of leadership principles. These workshops will be followed by a period of trial application of leadership on the job with individual coaching/mentoring by Paul Roggenkamp and Ron Higgs on the job site, or at the client’s place of choice. The purpose of learning leadership is to enable the leader to build a team of inspired individuals with shared values and team goals. This program consists of learning the process and framework of team building in workshop settings, then applying the knowledge in actual team formation. This aspect of LEAD with COURAGE is the cornerstone of leadership practice. Leadership must be an integral part of who the leader is and how he/she operates the organization for which the leader is responsible. 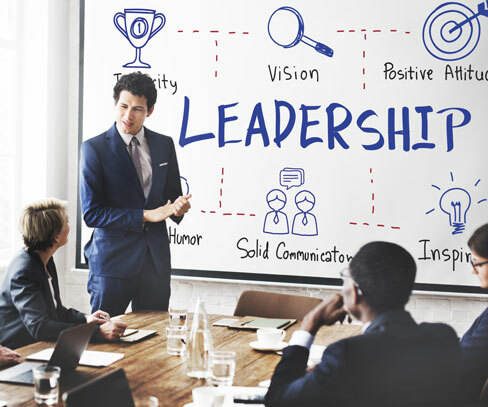 Paul and Ron will personally coach and mentor key individuals within the client leadership structure to enhance and ensure the maximum impact of leadership influence. Real life experience and leadership challenges are highlighted in captivating accounts of actual leadership impact on the lives and achievements of people. Life changing attitudes, commitments and decisions are the result of truly inspirational understanding and application of leadership.